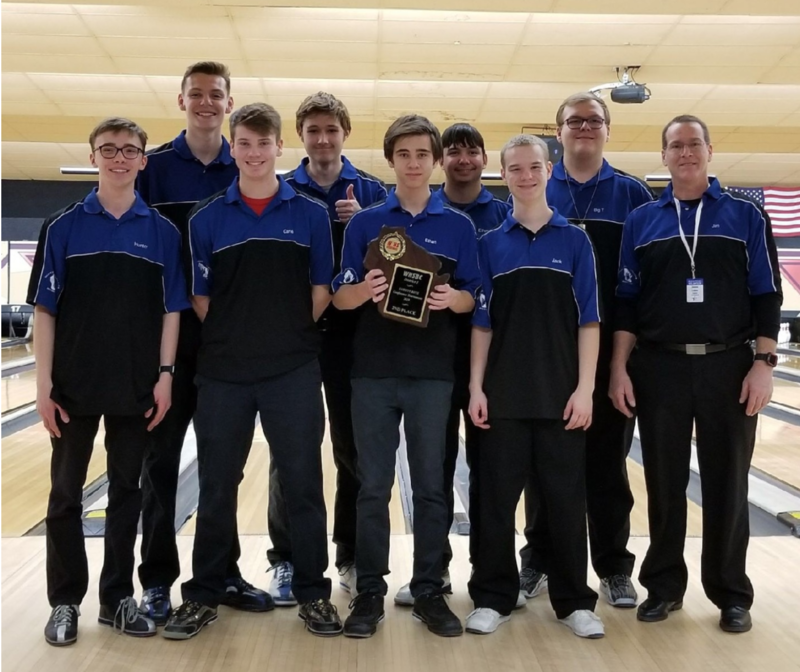 The Bowling team, consisting of bowlers from South and West, recently completed its best year yet, winning their division with a record of 13 wins and only 3 losses. Working collectively, they managed to climb up to state. On February 10th, the team competed in the conference tournament, where they took 2nd place, with their only loss coming to Germantown. Two weeks later, both the boys and girls teams played in a scholarship tournament, where both sides had great performances. Furthermore, both teams pushed hard in a different tournament. The boys team had Ethan Bennett and Payton Nabak from Waukesha West place 1st and 4th, respectively. As for the girls team, Waukesha South’s very own Vivian Lukas placed 1st. The team finished off their season in Wausau at the state tournament March 2-4, placing 12th out of the 23 teams that competed. Hunter White, an avid bowler, sums up his experience on the bowling team: “As a senior, I thought this year went way better than expected. Our goal, of course, was to go to state, but I didn’t think we were going to go, so I was very happy. I think bowling is very fun, and hopefully more people will try it out next school year once they find out more about it.” Overall, the players look at their bowling experience with a positive tone, and they are optimistic about where the future will take them as a competitive team. The success of the bowling team this year has been brought forth by a lot of hard work and effort. If you recognize one of the players walking in the hallway, please take your time to congratulate them as a sign of school spirit and gratitude for their representation of South. The bowling team saw much success this year, but the bowlers and coaches will not stop there; they will look to reach even greater heights in the years to come. Black Panther has been breaking Box Office records left and right. Read more about the impact this amazing film has left on society as a whole.